Improving the old Machrie links out of all recognition? I will be quite honest: I have found this possibly the hardest On Site report to write in the 11 years that we have been publishing GCA. Because, even after a good look at the works, an extended chat with the architect and a lot of reflection, I still do not know what I think! ISLAY, Scotland – No sooner had the Loganair Saab 340B pierced the cloud cover heading west out of Glasgow than we were plunging back through the thick gray cumulus hovering over Islay, which sits at the southern end of the Inner Hebrides chain. Islay, the southernmost island in the Inner Hebrides, is probably best known for its whisky production – there are currently eight active distilleries in operation there – but, for golfers, it will always be associated with the iconic Machrie links on Laggan Bay, a course that was originally laid out back in 1891. DISAPPOINTINGLY for those who can recall a better, more interesting time, modern golf in this age of technological wizardry has largely become a one-dimensional experience and spectacle. All but gone are the days when a Lee Trevino or a Seve Ballesteros would shoot in the mid-60s by dint of genius-level creativity, shot making and feel. Instead, brute power rules and tediously long 7,500-yard courses are increasingly the norm in the 21st century. THE sign at the end of the road leading to The Machrie reads, rather redundantly, “18-hole championship links golf course”. But the message is worth repeating. It’s been all change at the Machrie, the iconic golf course which was first laid out in 1891. We first played this amazing track back in 2005, but it ran into trouble in 2011, before the ex-BBC Chairman Gavin Davis and his wife Sue Nye, Gordon Brown’s former diary secretary, stepped into save the place. 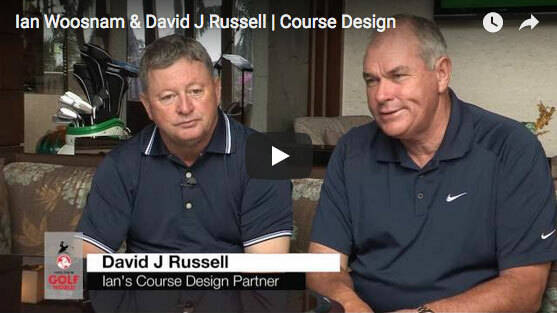 Imagine being offered the chance to design your first golf course. 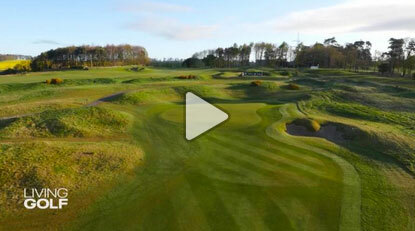 Then you find out that is situated right next door to one of the top-ranked courses in the world - Muirfield! That was the challenge that faced former European Tour pro David J. Russell three years ago and by the critical acclaim he has received for the new Archerfield Links, it looks like he came through with flying colours. Archerfield Links in the village of Dirleton, Scotland, sits on land where bowmen once pitched their tents while helping Edward I of England earn the nickname the Hammer of Scotland during a punitive military expedition in 1298. In the ensuing centuries, Englishmen hauling all manner of intentions have journeyed north to this craggy coast, located 18 miles east of Edinburgh, where round medieval towers brood along the Firth of Forth. It could be argued that, with the best ratio of golf courses to head of population of anywhere in the world, the last thing Scotland really needs is more places to play the game. And this, with one proviso, is probably true.